Who doesn’t love a good puzzle! Putting tiny pieces of cardboard together to make a beautiful picture is both challenging and gratifying. But did you know that the simple act of doing one with your child can teach them a whole lot about life? Here’s how we, at The Nanny Doctor, like to look at it. When you first get a puzzle, all of the pieces are jumbled together inside of the bag. There’s a lot of uncertainty at this stage, but you have the front of the box from which to base your work–there’s the plan, already set! When you start piecing them together, it takes time to make those first few connections. Maybe two pieces share the same color or their cutouts look like they’d make a good match. You’re still not sure where many of the pieces go, but you’ve started taking baby steps to get through it. You’re making suggestions to find the solution. You’ve also still got that plan! 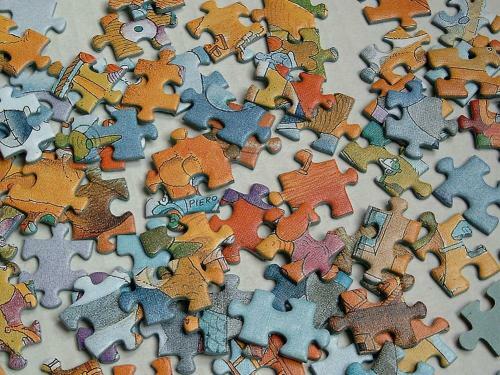 Halfway through the puzzle and you’re wondering how you ever got that far! The pieces are generally falling into place, now, because you’ve got a majority of the problem/puzzle solved. There may be a few kinks to work out but you’re well on your way. Only a few more links to fit together to make the project whole. You’re finished! You’ve put everything together and through perseverance and patience, you’ve completed the puzzle. Your problem is solved through trial and error and you can sit back and admire your work. Previous PostAre You a Bully?